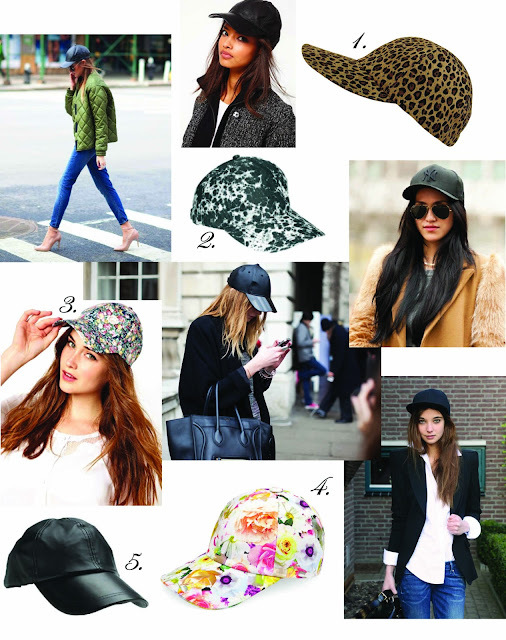 Citizen of the World: Baseball Cap Lovin'! 1. Cheetah cap found here! 2. Tie-dye cap found here! 3. Floral cap found here! 4. Bright floral cap found here! 5. Leather cap found here! There's very few girls in this world that can pull off this look! P.S. wanna follow each other on Bloglovin? Love it, very chic yet cool!! By the way I am hosting a MICHAEL KORS GIVEAWAY on my blog. I love Cheetah one! It's great I have to get myself such! These are all so adorable. I love the baseball cap and it seems like it's everywhere lately! Which one is your favorite? Love the caps! I definitely need one..